Looking for a large, open and cheerful home, then your search ends HERE! 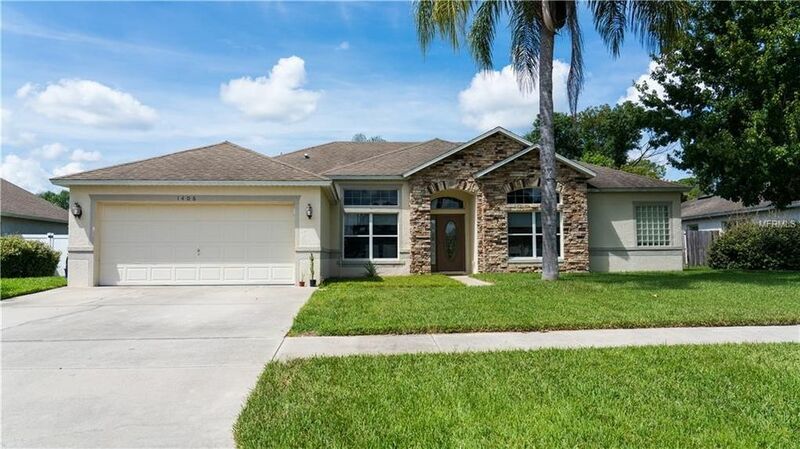 Located in desirable Waterford Lakes is where you will find this meticulously maintained pool home. As you enter, you'll immediately feel welcomed by the abundance of natural light and my beautiful hardwood floors throughout the formal living and dining rooms, while my open kitchen with its gas stove makes preparing large meals a joy. Built for easy entertaining I feature sliding doors from my family room to the large covered lanai with weather proof fans, huge screened in patio with salt water pool where you can relax and enjoy the great fall Florida weather poolside and bug free. I have a true split plan and gift the owner with a Master Suite that is like a complete private retreat all on its own, with large his and her closets, a walk-in shower, a garden tub and double vanities. My second bedroom even has a great walk-in closet. Need more to love? Did I mention my SMART dimmer switch for kitchen lights, smart NEST thermostat, gas appliances, cabinets in the garage for easy storage/organizing, and reclaimed water for irrigating my lush green grass. Convenient location, beautiful neighborhood and great floor plan make this a "must see". Just bring your toothbrush and your virtual assistant. This one won't last long, call today before it's too late to call this one HOME! Directions: Going E. on ISB Blvd., Right onto N. McDonald Ave., Left at Collins Lake Dr., Left on Sutton Island Dr.